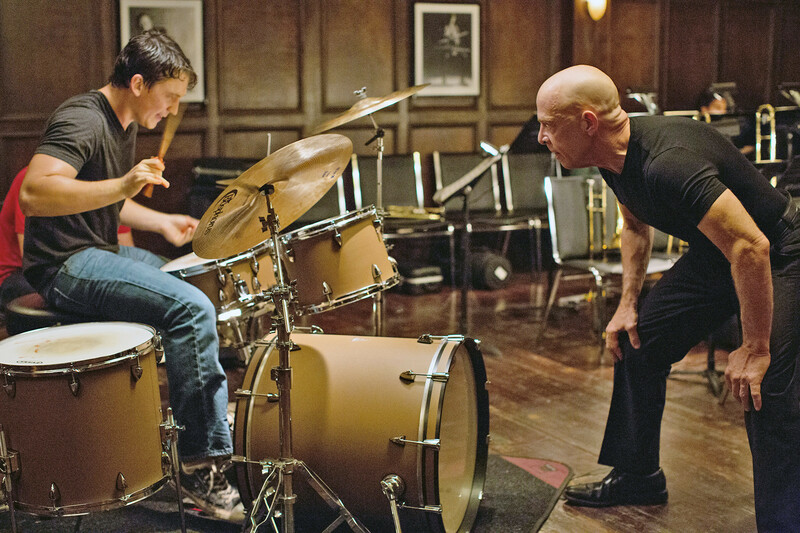 “ ‘Good Job’ are the two most harmful words in the English language,” says fictional Jazz conductor Terrence Fletcher in 2014’s Whiplash, an explosive film that portrays the brutal nature of high level musical education. Based on its creator’s own experiences at colleges of music, the film shows the very real, and very demanding, harshest aspects of music education programs. Unlike other secondary schools and graduate programs, musical programs have a unparalleled competitive side to them not present in other, equally tough schools. For instance, if you attend MIT and graduate with a half-decent GPA, it doesn’t matter if you were absolute top of your class or program, you will be able to get a well-paying job at an engineering firm or something similar. Unfortunately for those more disposed to the arts, this is not the case for those graduating with music or art degrees, even from the best institutions in the country. It is a cut throat system, almost similar to professional sports, where scouts objectively weigh out the strengths or weaknesses of college performers in recital and then invite the select few to come play in professional orchestras or ensembles. Other teaching and performing jobs are obviously available, but the pay scale is that of teachers and uncontracted performers, and thus very rarely enough to recoup the enormous costs of any good music school. This movie is not about student loans, or the professional lives of musicians, but about what I like to call The Beethoven Effect. In music, it could be explained as the pushing past of physical or psychologically healthy limits of practicing, in order to achieve a level of playing that is unparalleled by those not willing to do so. It is named after Ludwig Van Beethoven, who from the age of five was pushed extremely hard by his teachers, starting with his father, until he was one of the greatest composers in history. When your name is spoken with the same breath as Mozart or Stravinsky or Chopin, it is difficult to look at the negative details of your life. However he didn’t have anything close to a normal life, being forced to put on shows as a ‘prodigy’ and practice every day for hours on end, from such a young age. It’s doubtful he was very happy or psychologically very stable after years of brutally strict instruction. This wasn’t uncommon for that time period, but think about if Beethoven had lived today. Who knows if he would have achieved greatness or become one of history’s greatest composers if he had been given a normal childhood, and not forced to practice every single day. In today’s culture of coddling and praising children to supposedly create happy, stable individuals, the parenting and push that Beethoven received would be unthinkable, or at least very, very unlikely. This is the issue that Whiplash presents. We praise the acts of the past, monolithic monuments and beautiful compositions of art and music that seem unreplicable in the present, but damn the processes that were able to create them. The religious fervor and borderline slavery that built the Pyramids and Colossus and Angkor Wat, and the devotion, self-discipline and child abuse that gave us Michelangelo or Beethoven were extremely ruthless driving forces that are mostly gone today and for good reason. But can we still produce greats without them? It is excruciating watching Miles Teller, who played the protagonist in Whiplash, push his body past the point of pain and bleeding and psychological well-being just to push his career to the next level. However at the end, when he finally gets to bring his hard won talent to the stage and create something completely new and explosive and inspirational, the audience isn’t left feeling sorry for him or with thoughts of how he should’ve taken better care of himself. It makes every person who watched it want to push themselves past their normal limitations to create something great and powerful as well, and make something that will be remembered forever instead of getting a little bit of happiness in this lifetime.